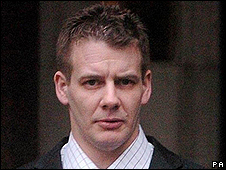 A Newcastle man jailed for 14 years before his murder conviction was ruled unsafe has begun a compensation bid. Andrew Adams, now 39, was found guilty in 1993 of shooting retired science teacher Jack Royal, but released in 2007 by the Court of Appeal. The High Court later rejected a pay-out claim on the grounds that it was not shown beyond reasonable doubt there had been a miscarriage of justice. Mr Andrews has now taken his case for compensation to the Court of Appeal. In rejecting his claim in February 2009, a High Court judge said his 2007 appeal had succeeded on the basis that the conduct of his case by his legal representatives had been inadequate and that this had deprived him of a fair trial. This related to their failure to discover and deploy three pieces of evidence from the unused material made available by the prosecution. However, his compensation bid was refused as it had not been shown beyond reasonable doubt that there had been a miscarriage of justice, and the evidence which was not deployed could not be described as new or newly-discovered fact. In challenging that refusal, Tim Owen QC, representing Mr Adams, said that the facts which led to his conviction being quashed were new to him and should fall within the parameters which would allow him compensation. "The appellant cannot be blamed for the incompetence of the legal preparation for his trial," he said.